Constructed of 13 Ounce stop rip heavy duty vinyl, our sunshades are not only affordable, they are durable. 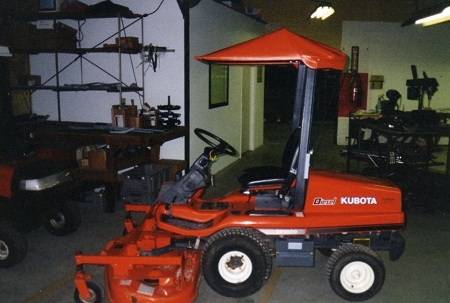 Tool free installation and removal after initial bracket installation keeps you mowing, even under low branches. 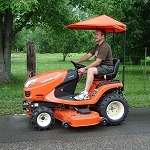 Stay cool while you work and protect yourself from UV rays. The sunshade frames are constructed from 16 gauge steel tube.